The San Diego Art Institute (SDAI) in Balboa Park presents "Rising Tide," a new exhibition that will run from November 24, 2018 through January 6, 2019. This multi-media show will feature solo exhibitions by Francisco Eme, Jana Brike, and Jacob Sundstrom, a Ph.D. student in computer music at UC San Diego. Distinct in vision and style, the works each create immersive environments that evoke stillness and space for contemplation. 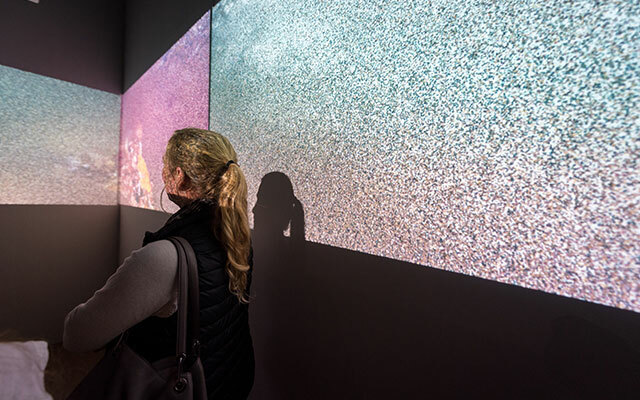 The exhibition kicks off a new partnership between SDAI and UCSD's Qualcomm Institute that brings together art and cutting-edge technology to create opportunities for students to showcase their work.